Pop Quiz: What Time Is It? Dial Gauge Testing Time! As the temperatures warm (or not so much) let that be a reminder it’s the time of year again to get your pressure canner dial gauge tested. Dial gauges need to be tested for accuracy before each canning season or after dropping or banging it. The manufacturer of your pressure canner is best able to provide you with instruction for inspection/gauge testing. Some companies require that you mail it in to them. You may also ask at a local hardware store or contact your local Cooperative Extension office, as some of them will do gauge testing for some brands of dial gauge pressure canners if they have an agent at that location who is trained to do so. Select your state from the drop-down list on this search tool to locate your county office: ​ Find Your Local Extension Office. 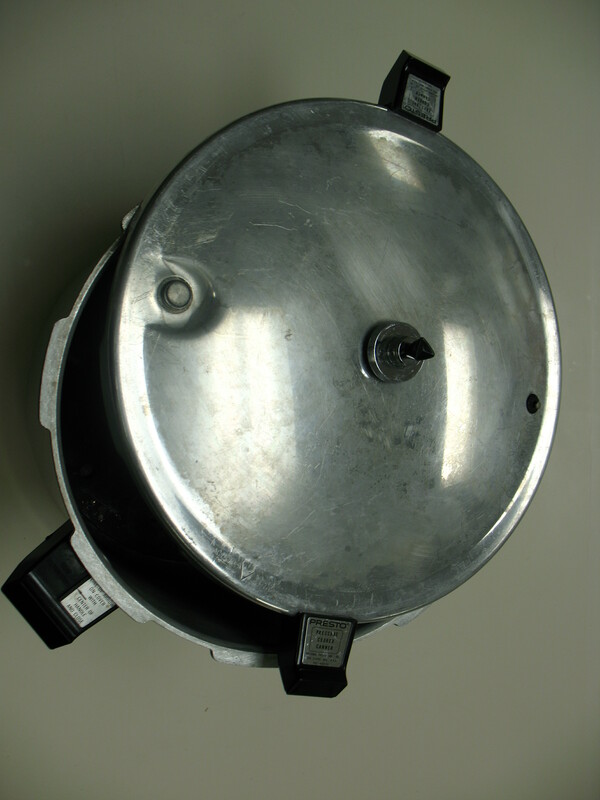 Also as part of an annual “check-up”, make sure all parts of your pressure canner are in good condition. If your canner has a rubber gasket, make sure it is flexible and soft, not brittle, sticky or cracked. Check the openings on any small pipes or vent ports to be sure they are clean and clear of any debris. If you don’t have a pressure canner and are thinking about getting one, then make sure you select a pressure canner that is capable of holding at least 4 quart-size jars upright, on the rack, with a lid that secures airtight. If it is smaller than that, we do not recommend it for home canning using USDA canning procedures. Whether your pressure canner has not yet been used this season or is new out of the box, it is a good idea to make sure it is working properly before preparing a canner load of jars. 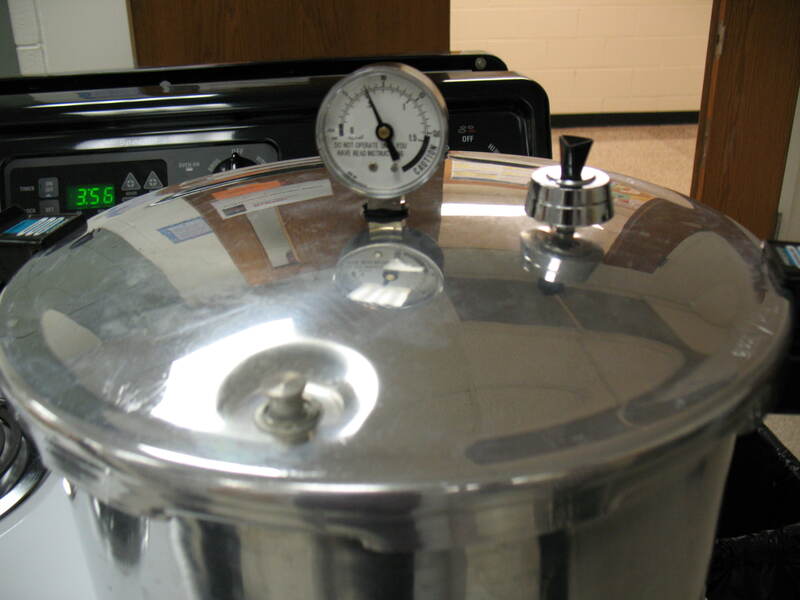 Put several inches of water in your pressure canner, and pressurize it as if canning. Make sure it gets to the pressure needed and can be maintained there without leaking. This is a good time to practice de-pressurizing the canner as if it had jars in it and then go through the steps for opening your canner as desired. Read step-by-step procedures for using pressure canners on the NCHFP website. 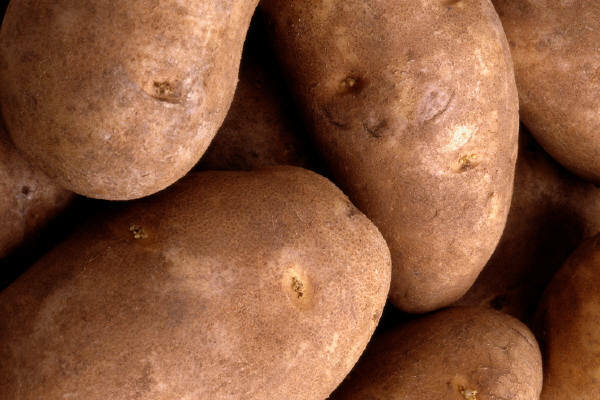 This blog post contains a revision of Can Your Vegetables Safely by Dr. Elizabeth Andress. This entry was posted in Canning, Food Safety and tagged dial gauge testing, gauge testing, pressure canners, pressure canning on March 20, 2015 by nchfp. This cold, long winter will be a memorable one for many. Hopefully you made use of your reserve of fresh and preserved foods, but you may have made your way through it all! If you are already thinking about preparing for next year, then you may like the idea of canning soup to bring delicious and nutritious warmth during the coldest days. Our recommendation for canning soup does NOT allow you to include noodles or other pasta, rice, flour, cream, milk or other thickening or dairy ingredients. 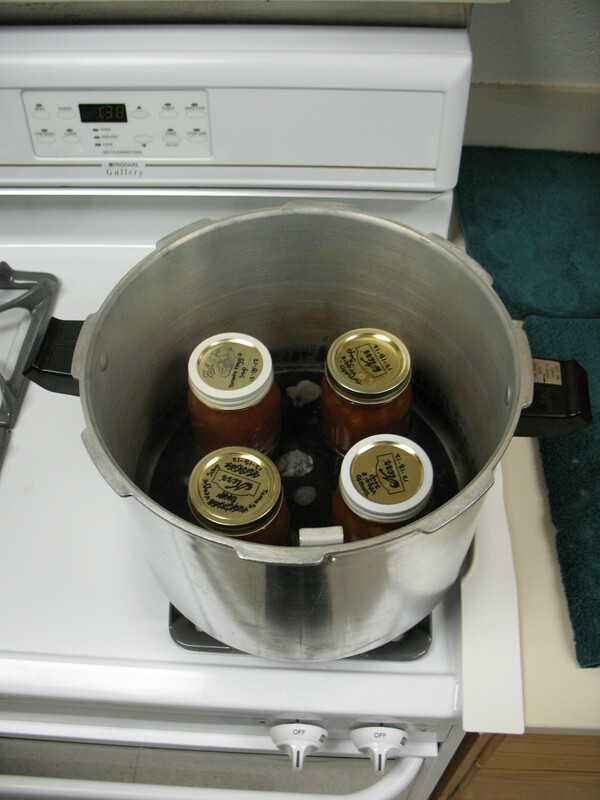 The procedure for canning soup says “Each vegetable should be selected, washed, prepared and cooked as you would for canning a ‘hot pack’ according to USDA directions”, which means that there must be a canning recommendation for each added ingredient. As examples, for this reason we cannot recommend adding cabbage nor cured meats like cured ham to canned soup. 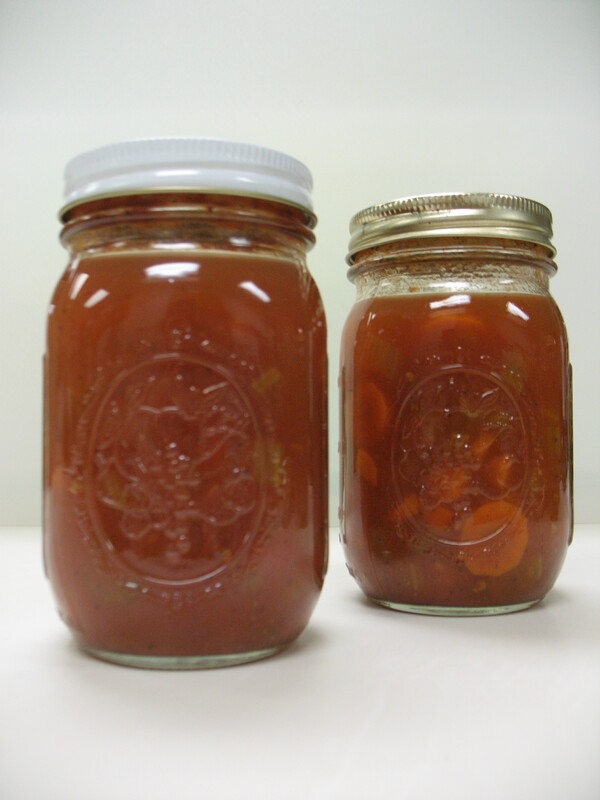 It is also very important when canning soup that you “Fill jars halfway with solid mixture.” The reason behind filling the jar 1/2 with solids and 1/2 with liquid is to ensure the safety of the product. 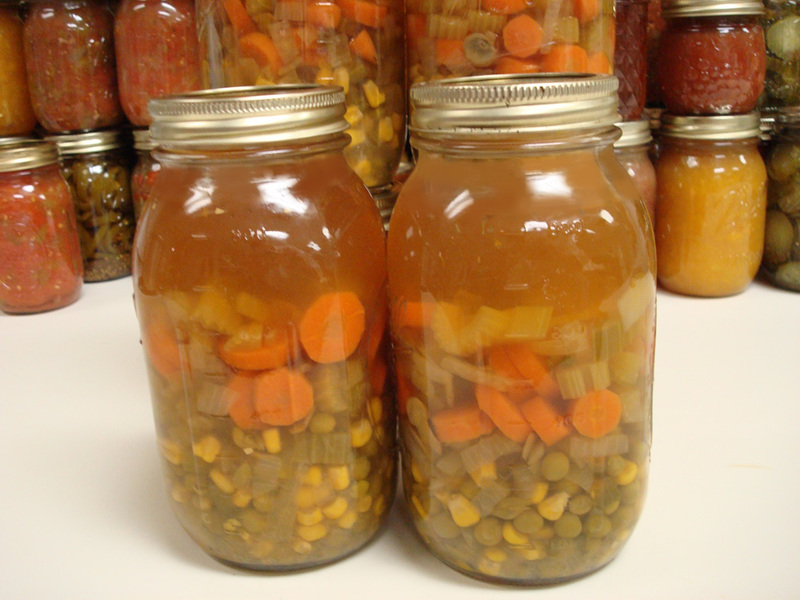 Our recommendation for canning soup may have a substantial amount of variability based on which vegetables and/or meats are selected and in what proportions. The 1:1 liquid to solid ratio ensures that a certain rate of heating occurs so that the dangerous bacterial spores of botulinum will be destroyed no matter which ingredients (that are noted in the recommendation as acceptable) you select and prepare as directed. Heat transfers more easily and quickly through liquid than through solids and dense mixtures, so a new canning process time would have to be determined through product testing if you were to increase the solid to liquid ratio. If you choose to follow canning recommendations from another source, then you are choosing to trust their product testing of their recipe, procedure, and process time — they are responsible for their own product testing and you could certainly contact them if you have questions about their recommendations. Our canning recommendations are meant to be followed exactly as written, and we unfortunately cannot provide individual testing of homemade recipes. If you are still wondering if you can can your favorite homemade soup recipe at home, please read our Burning Issue: Canning Homemade Soups. Remember too that once you can soup as recommended, you can add your choice of ingredients AFTER you open the jars and re-heat the soup for serving! 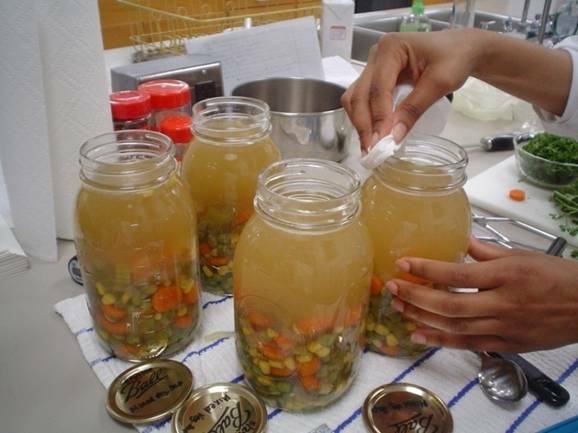 This entry was posted in Canning, Food Safety, Recipes, Seasonal Food Tips and tagged canning soup, pressure canning on March 5, 2015 by nchfp.